I have to admit, I got a little wistful tonight. Just following all the chatter on Twitter about the RWA national conference in Florida was enough to make me wish I was there. And honestly, up until then I'd been fine with not going. After all, I'd been to RT just a few months earlier. And swinging two national conferences in one year would have been a stretch both to the pocketbook and the schedule. Still, I can't help wishing I could be there, spending time with friends, meeting new people, attending the sessions and parties and get-togethers. It's what makes writer's conferences so wonderful - the people. Being around other writers and publishing professionals who are just as passionate about the world of romance as I am. It's a rush, let me tell you. But this year, I'm stuck at home, living vicariously through my twitter friends. Next year, though, I'll move heaven and earth to be at RWA 2011 in NYC. It'll be a can't-miss! How about you? Do you have conference envy? Or would you rather skip the noise and bustle and stress for something more low-key? As a police detective aboard generational starship Lažna Zora, it's Galen Traub's job to investigate when someone goes missing. He never expects that someone to be his husband. 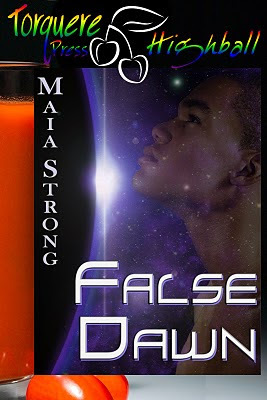 Time is ticking quickly past and the longer Dayan is missing, the less likely the chances Galen will find him alive. See? SEE? Sounds great, doesn't it? Trust me, it is. So head on over to Torquere and Buy It Now! I just finished watching this movie last night, and have a bit of a confession to make. 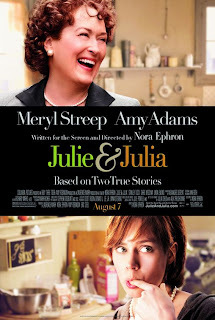 Though I'd heard of Julie & Julia when it was first released, and had a vague interest in it, in that sort of "I should really rent that someday, maybe I'll put it on my Netflix queue" way, I didn't do anything about it until I heard that Eric Sheffer Stevens was in it. Bang, top of the queue. I liked the film overall, although it felt at times that I was watching two movies at the same time. The constant jumping back-and-forth between Julie and Julia's stories was a little -- distancing, I guess would be the word for it. I never got really invested in either of their storylines. I finally got my contract, so I can share - I have a new book coming out from Samhain! It's currently titled LOVE'S LESSON PLAN, and it's a contemporary romance featuring a teacher heroine and security officer hero. No word yet on release date, but I'll be sure to let you know! Enter Neo Stamos, arrogant Greek tycoon. He wants Cass with a burning desire, though he knows that, shy and sweet, she will need a gentle awakening…. But Neo's the master of seduction! Sounds fabu, doesn't it? So why not head to the nearest bookstore and Buy It Now? Note: This is a new, semi-regular feature I'm adding to the blog. It will be a mix of new releases and favorites available on DVD, mostly because with kids I don't get out to the theater often enough to warrant weekly reviews of new films. I will do my best to keep all reviews spoiler-free, because it irritates me when I read a review on a book or movie and it gives away the ending. Hope you enjoy! Week two of my Monday Movie Musings, and it's another midnight showing. This time, we saw Eclipse, which was the biggest movie event I'd ever seen in our little town. I'd tried to order tickets online but the website said it was sold out, so I drove down to see if any tickets were available at the box office. Luckily, the guy at the counter said that they were continuing to open screens each time a theater filled up. I bought three tickets, and about half an hour before we headed out to the theater. Tactical error. The movie theater is at the local mall, and even 30 minutes prior I was hard-pressed to find a parking space. We finally parked in the furthest row and hiked over to the cinema. It was packed. The line for the concession stand was out the door, and groups of people milled around outside, hoping against hope that they could get tickets because, yes, it was finally sold out. All ten screens. We wandered from theater to theater, hoping to find three seats together. Finally we found them – in the second row. Hello, neck strain! And a lot of the enjoyment of the movie was spending it with my kids, who ARE huge fans of the franchise. FutureStar – I loved it so much! It was great and awesome and will please any Twilight fan out there. I liked that it included Bree Tanner. Way better than Twilight. MidKid – I liked the whole movie. The director showed many details. The two best parts of the movie are when Riley gets bitten, and the scene between Bella and Jacob. Everything attorney Julia Branholt has worked for is about to tank thanks to one stubborn, bull-headed pirate named Hakon “Hawk” Thoralssen. It’s not enough that she’s forced to take him on as yet another pro bono case, but someone bails the man out in her name. This ethical nightmare could mean disbarment...and the end to a promise she made her father. So Julia goes rogue and follows Hawk. Sounds great, doesn't it? So why not head on over to Bookstrand and Buy It Now? Note: This is a new, semi-regular feature I'm adding to the blog. It will be a mix of new releases and favorites available on DVD, mostly because with kids I don't get out to the theater often enough to warrant weekly reviews of new films. I will do my best to keep all reviews as spoiler-free as possible, because it irritates me when I read a review on a book or movie and it gives away the ending. Hope you enjoy! A few weeks back I saw Toy Story 3 with my two oldest kids. It was a fundraiser midnight showing at the local theater, and we decided last minute to go. Now, confession time – I've never seen the first two movies. They came out between my two animated film eras – watching on my own, and watching with kids. So though I'm familiar with many of the characters, I have only a vague idea of the storylines. Luckily, though, you don't have to have seenhe first two movies in order to understand and completely enjoy Toy Story 3. It was a funny, emotional, sweet, exciting, and surprisingly powerful movie that I wholeheartedly recommend. I actually teared up in parts, which surprised me. It shouldn't have, though. I know myself. I cry at commercials. And this movie had some truly touching moments. The only drawback for me was the 3-D. I found it disappointing and unnecessary. I get that it's the latest big thing in movies these days, but the film would have been just as good without. FutureStar said it was absolutely worth staying up for a midnight showing. Favorite part? The first time the kids came in the caterpillar room. MidKid said I liked it a lot. Everybody from all ages would like it. My grandma saw it and loved it. Favorite part? The part where Bonnie runs into Woody. So there you go - three thumbs up. If you haven't seen this movie yet, I highly recommend it!